Buying real estate in probate can be a lucrative method of real estate investing. Many problems arise during the probate process leaving the personal representative frustrated and eager to sell. That means that investors have an opportunity to purchase property at profitable rates…if they take the time to learn about how to take advantage of purchasing probate properties. According to the dictionary, probate is the court-supervised process by which a deceased person’s property is sold to pay their debts and to distribute the proceeds of the sale to the rightful heirs. When a person dies the courts require that all possessions including any vehicles, homes, land, farms or businesses are placed in probate. This process becomes more complex if the deceased did not have a will. Through this process, these possessions are sold, debts paid and the remaining monies divided among the deceased’s heirs. 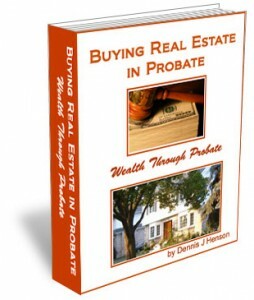 Dennis J. Henson details this process and the skills needed to become successful at purchasing probate properties in “Buying Real Estate in Probate”. The benefits of probate real estate investing are easy to see. There is very little competition for probate properties. Many probate properties have high equity values. In most cases, these properties have no liens, titles without liens and have been owned for a long time, which increases the properties value and equity. Most investors will not need to invest their own capitol when purchasing probate properties. As the probate process is lengthy sellers become motivated to dispose of real estate quickly. 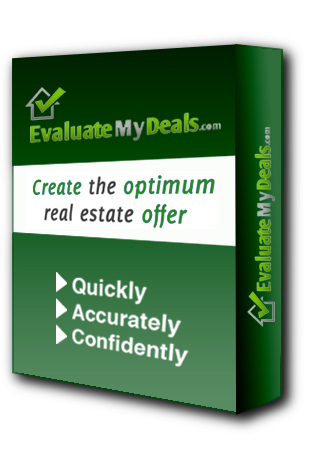 This is a great benefit to real estate investors. Understanding the complexities of the probate process provides investors with the knowledge that provides the perspective required to purchase probate properties. Probate is an emotionally difficult time for family members. Many investors lack the understanding and skills necessary to place themselves in someone else’s shoes. An investor who understands this and the emotional process can approach sellers in a thoughtful manner and avoid being verbally attacked or emotionally drained. When buying real estate in probate the investor will be dealing with an administrator, personal representative, executor or executrix. If this individual has been appointed by the court their understanding of the process may be limited. Some of the tasks include keeping property taxes paid, making sure insurance payments are up-to-date, cutting grass, turning off utilities, and notifying all creditors such as credit card accounts that the person has died. Additional complications include impatient heirs wanting their rightful share and the effort required. Probate is a legal process and mistakes made during the process may leave the executor liable. Probate investing requires many of the same basic skills that all real estate investing does, but it also requires the ability to empathize. When you contact the seller, you will need to be sensitive to what they are going through. Condolences must be made and responses to the seller’s questions need to be sincere. While talking to the seller you can inquire about the property. Preparing a script to use when speaking to personal representatives will help you avoid being viewed as insensitive. It is important to find out who is the legal representative for the property. Get the name, address and phone number of the representative. Always start the conversation with condolences and phrases indicating you understand their personal loss. Ask if an attorney is involved. If an attorney is involved be sure to get their name and address. Ask about the home. Allowing the seller to add personal anecdotes about the property will facilitate a positive feeling improving your chances of purchasing the property. Inquire about any liens, annual property taxes and the properties value. Ask if the home is empty and find out about the asking price. Be sure to inform the contact person that you are able to close quickly and pay cash. The ability to close quickly may make a big difference when investing in probate real estate. The additional skills required when buying real estate in probate will allow for successful probate investing. 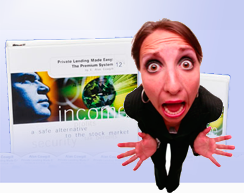 Probate real estate investing is an area that is often overlooked by many investors. 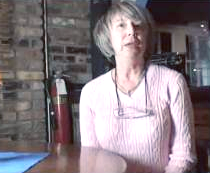 Learn other secrets of success like this: Buying Real Estate in Probate.